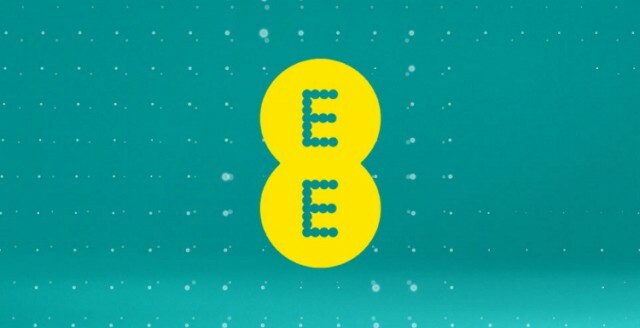 29th of October, UK’s first fourth generation network has been launched by EE, a joint venture of T-Mobile UK and Orange UK, in 16 biggest cities of Great Britain by the end of the year, covering almost one third of UK’s population. The initial social response has been overwhelmed, since comparing to other countries, we have already been left behind. Till now, it is time for us to catch up the game. However, after EE released their pricing to the public, people simply got shocked by the premium over the current average 3G price. The lowest tariff would be £36 a month, starting with a data cap at 500MB monthly. BBC claimed that it takes only 40 seconds to use up all that amount of data, this is simply not practical at all, some people even call it a huge “rip-off”; while EE suggested that 4G only gives the benefit of fast accessing to the internet. As a result, I would like to test it out, and try to justify whether it is worth to take such premium. The price is actually not a disappointment, where £36 a month including unlimited voice and texts sounds an reasonable tariff comparing with their own sister company’s equivalent service, i.e. “Full Monty” on T-Mobile. The major difference here are the data cap, people can enjoy their unlimited mobile data with “Full Monty” apart from tethering. (despite the fact that people can use the tethering on any devices without paying any extra, they may limit speed somehow.) Whereas on EE’s LTE plan, only 500MB is available, that leaves a huge gap for data-hungry user, like me. So people may wonder why not choose a tariff with unlimited data. Well, the answer is pretty obvious, the absolute fast connection does the matter. LTE, as know as 4G, has a whole new technology compared to the “old” 3G. The theoretical maximum speed can achieve 100Mbps down, and 50Mbps up; compared with the current 3G (HSPA+ or DC-HSPA+), that is at least 3-4 times faster. The advantage does not end here, the absolute high speed is one aspect, the low ping value is another win as well. Lower ping means faster response between client and server, whereas high connection speed only benefits on large file transfer. That’s the exact explanation from EE, as LTE does not increase the amount of data people using, but reduces the time people waiting to get things done, although people tend to argue that more spare time they are having on their devices do stimulate more contents they are accessing, hence more data is required, a 5 years old 3G Nokia smartphone with tiny screen and slow connectivity would fit this example. Whether people use more data on 4G or not remains doubtable, that might really depends on different users. On contrary, myself, as a realistic user, I do believe the fact that LTE does make my mobile experience whole lot better, based upon my current hardware isn’t the limiting factors to begin with, the response between client end and far distance server shortened dramatically, sometimes even faster than my home broadband. However, I do feel myself relatively conservative on data usage compared with when I am on an unlimited 3G tariff, 500MB or even a larger data plan simply makes me nervous. I even start to think of turning the data toggle off while I have no intention to use it, and turn the data on when I really need the data connection, not even mentioning to download games or update apps under WI-FI condition. Another consideration using under LTE, the battery does drain a bit faster than other situation. That might be the technique limitation on what we are facing nowadays. In the end, the matter become more difficult to justify. Basically, whether to jump to the “new born” technology or not depends on what kind of mobile experience people are after. From lite-data users’ point of view, I recommend to try out the LTE network as long as people are in these LTE-enabled cities, specially for those who are able to access WI-FI at home and school/office, the only period for using LTE would be in between the fixed locations. These people will not only enjoy the “WI-FI like” experience on the go, but also enjoy Everything Everywhere’s full cellular coverage. On the other hand, for those data-thirsty user, it is still better to remain uncharged until mobile rival O2 and Vodafone to launch their own LTE early next year. Competition always means better in value and service to consumers, UK’s current 3G data tariffs are already good examples, nevertheless, do not expect the price to drop so soon as those carriers are still counting on LTE to reverse their financial reports. From my point of view, I have multiple contracts including 3UK’s “all you can eat” tariff, as well as unlimited data from Talkmobile (a virtual carrier on Vodafone), hence an unlimited data phone to tether is always by my side, or more precisely, to support my beloved iPhone 5 on #4GEE.